I blog at you from downtown Minneapolis, stop number 13 out of 13 on this tour. I’m reading tonight at the Barnes & Noble in Roseville. I’ve only been here a handful of times, but it’s where my father grew up, and where a lot of his side of the family still live. I don’t know much about my dad’s early life — he’s not a share-y kind of father in that way — but I think he was the first from his family to go to college. His father ran a local car dealership by the name of Grossman azithromycin generic manufacturers Chevrolet. My father went away to Massachusetts for college. I don’t think he ever really lived in Minnesota again. So my main memory of Minneapolis has nothing to do with my family. It’s this: In 2004 I came here to interview some political bloggers, and afterwards I went to a really good Italian restaurant where I had grappa for the first time. That was memorable. 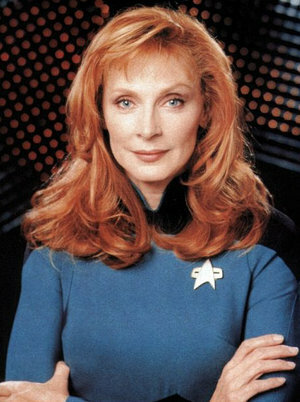 Not unrelated: that was also the first (and last) time I told a waitress she reminded me of Gates McFadden. Sorry about that, wherever you are. But the resemblance really was uncanny. I Googled the former family business, with the idea of maybe making a pilgrimage there. Not going to happen: looks like GM shut it down last year.